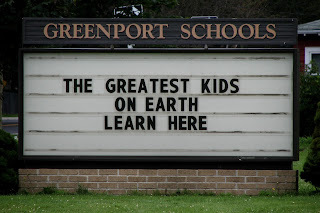 Greenport Schools have a positive attitude. One of the ways that school districts can organize to buy better management of their schools for less money is to share management positions. Two schools on the North Fork of Long Island, in Greenport and Southold, are sharing a school superintendent. David Gamberg serves two schools. That way they can afford to pay the person more, while the cost is shared among twice as many taxpayers. Here is a story in Newsday about this. It was sent to me by someone who is seeking to improve the management of the Springs School. Two communities on Long Island’s North Fork are taking joint management of their public schools to a new level in a rare initiative that supporters hold up as a model for localities across the state. The partnership between Greenport and Southold schools got a boost two summers ago, when Superintendent David Gamberg started running both districts. It has expanded since, and the newest development came July 1, when Charles Scheid, assistant superintendent for business in Southold, took over the same administrative duties in neighboring Greenport. The shared-management team includes Ryan Case, director of educational technology; Marcus DaSilva, assistant plants and facilities administrator; and Frank Mazzie, a business administrator and purchasing agent. Last week, school administrators from both communities met at a diner on the Southold-Greenport border — “neutral ground,” as one participant put it — and heard a pep talk from Gamberg on the rewards and risks of double duty. The meeting was part of a daylong retreat to plan for the 2016-17 school year and beyond. Gamberg, 54, has spent many years in public education, including the past eight years as Southold’s school chief. An avid gardener, one of his pet projects is a “mini-farm” outside Southold Elementary School where students harvest hundreds of pounds of produce each year for sale and free distribution. The superintendent, who technically is employed by Southold, has thrown himself into the cause of joint supervision. He divides his time equally between the two districts, and half his $243,280 annual salary is paid by Greenport under a cooperative arrangement known as an Inter-Municipal Agreement, or IMA. Southold and Greenport are among a handful of the state’s 700-plus public school systems that share superintendents — and currently it is the only such arrangement on Long Island. 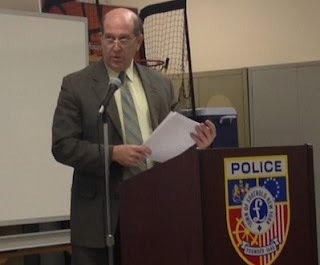 In the past, several East End districts have shared school chiefs, including Greenport, where former Superintendent Michael Comanda also served several years as part-time head of the tiny New Suffolk district. What makes the relationship between Greenport and Southold stand out, one Albany expert observed, is cooperation that goes far beyond the front office. “This is the most extensive sharing of personnel that I’ve heard of, and it’s certainly more substantial than just sharing a superintendent,” said Robert Lowry, deputy director of the New York State Council of School Superintendents. Others on Gamberg’s administrative team split their time under agreements with school boards in both districts. Scheid, for example, spends 60 percent of his time in Southold and 40 percent in Greenport, which has a smaller budget. Mazzie devotes 75 percent of his time to Greenport and 25 percent to Southold. Participants acknowledged the plan’s complexities and said they would review school-management operations in six months to make sure the system is working to everyone’s satisfaction. Most said they are optimistic. “I think people see it works with David as superintendent, so people can say, ‘Why wouldn’t the other positions work as well,’ ” said Paulette Ofrias, president of Southold’s school board. Her counterpart on the Greenport board, Babette Cornine, noted that the two districts began talking about cooperative management in 2013, months before Gov. Andrew M. Cuomo announced a statewide drive for greater streamlining and efficiency in local governments. “We were kind of ahead of the curve,” she said. Gamberg estimated the two districts now are saving a combined $400,000 a year on administrative salaries and benefits. By the close of the 2016-17 school year, cumulative savings from the shared arrangement will exceed $1 million, he added. “It does two things: It saves money, and it provides programs for students in both districts that they couldn’t do on their own,” said state Sen. Kenneth P. LaValle (R-Port Jefferson), whose constituency includes Greenport and Southold. LaValle, who chairs the Senate’s Higher Education Committee, called the shared-management initiative a potential model for other districts. Pressures for financial savings have mounted since 2012, when the state imposed tax caps on schools and municipalities, he pointed out. Some experts said school districts might find joint administration appealing, because it avoids complications that can accompany outright consolidation. When two districts merge, for instance, the wealthier of the two typically experiences a rise in taxes, while the other sees taxes reduced. Measuring the financial impact of shared administration in Southold and Greenport is difficult, however, given their socioeconomic differences. The 800-student Southold district is more affluent, with a higher median family income and fewer children on the subsidized lunch program. It traditionally has spent more money per student — about $36,300 to Greenport’s estimated $26,600, according to a calculation of budget divided by enrollment. Between 2014-15 and 2016-17, the district has maintained student programs and services while raising its budget less than 1 percent cumulatively — far below the Suffolk County average of 3.9 percent. 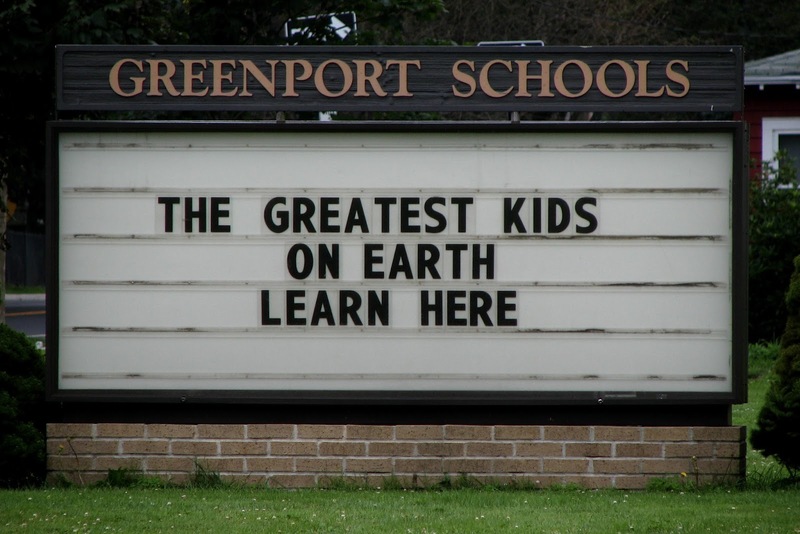 Greenport, on the other hand, recently added teachers and other staff in an effort to make up for cuts imposed during an earlier economic downturn. In addition, local residents in May approved a budget that exceeded the district’s tax cap. Spending in the system between 2014-15 and 2016-17 jumped more than 9 percent cumulatively as a result of staff additions and tax-cap overrides. With the extra spending, though, Greenport’s offerings for its 675 students have improved. In 2014, for example, the district opened prekindergarten classes for 38 youngsters — a program that already was provided in Southold. At the state level, fiscal experts said it was predictable that money saved through administrative streamlining would be used, in part, to restore or expand services. In 2013, researchers at Cornell University’s Department of City and Regional Planning surveyed officials in 946 localities across the state and found that such funding shifts were common. One result, researchers said, was that efforts to achieve greater efficiencies failed to reduce spending 50 percent of the time. “But this is not a bad thing,” said Mildred Warner, a professor in the planning department, who noted that plowing back fiscal savings into schools often improves student services. Southold and Greenport both have a strong sense of local identity, tracing their origins as English settlements back to the 1600s. Even so, the two school districts, like many in the East End, have found over the years that cooperation allows them to offer programs that they otherwise could not manage because of their small size. Since 1983, students from Greenport and Southold have played on the same varsity football team, along with students from the nearby Mattituck-Cutchogue district. The three systems also share a varsity lacrosse team and a U.S. Navy Junior ROTC program. Greenport and Southold share teams in softball and volleyball, as well as advanced high school courses and an annual play. Still, school administrators remain sensitive to community distinctions. Gamberg, who makes the eight-minute drive between Southold and Greenport on a near-daily basis, honors the districts’ respective colors by wearing red neckties when in Southold and purple ties in Greenport. “People notice that,” he said. July 27, 2016—Andrew Ross Sorkin (New York Times, July 26, p. B1) considers it "an extremely odd political dovetail" that both Democratic and Republican platforms include planks calling for the restoration of the 1933 Banking Act, widely referred to as Glass-Steagall. The coalition that brought down the Philadelphia-based Hamiltonian Second Bank of the United States united Old Republicans opposed to growing Federal power and Jacksonian Democrats opposed to the reining-in of bank lending. The coalition that created the Federal Reserve in 1913 included Republican Senator Nelson Aldrich and several Wall Street bankers, who drafted a privately controlled plan at a "duck hunt" in November 1910, and Democratic Congressman Carter Glass of Virginia, who with President Woodrow Wilson added provisions for greater public control. FDR's Republican Treasury Secretary, the unjustly forgotten Will Woodin, calmed the financial markets in 1933 and got both houses of Congress to agree in a single day to an Emergency Banking Act and then to the 1933 Glass-Steagall Act. When I was working as a financial economist at the Federal Reserve Board in 1964-66, Bray Hammond's history of banking was still fresh in the minds of researchers there. Hammond had been Assistant Secretary to the Board of Governors of the Federal Reserve System through 1950. 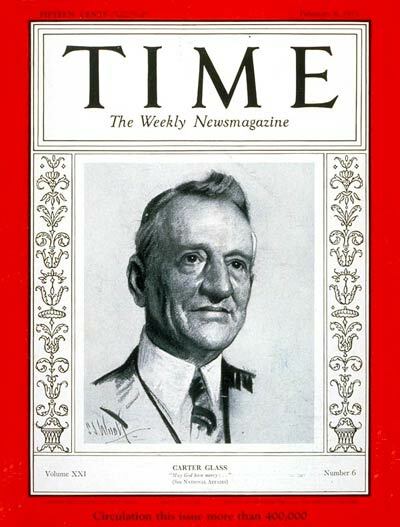 He wrote Banking from the Revolution to the Civil War (key chapter posted here) that won a Pulitzer for history in 1958. Today's Main Street coalition has coalesced in reaction to the 2008 meltdown. It is broad and deep but it is the same coming-together that has stood the United States well since the Revolution. Glass-Steagall was named after Sen. Glass, now chairman of the Senate Banking Committee, and Rep. Henry Steagall of Alabama, chairman of the House counterpart committee. Working under pressure from FDR and Woodin, Glass and Steagall fashioned a law that was a powerful bargain. The banks originally got deposit insurance up to $2,500 per account holder from Steagall in return for strict regulations designed by Glass to separate insured from non-insured financial institutions. Woodin and FDR were both fully aware of the hazard that investment bankers would try to get access to insured deposits to speculate with, which is why they deeply opposed deposit insurance unless accompanied by strong regulation of banks covered by such government-backed insurance. Deposit insurance coverage was ultimately expanded. Depositors were allowed to have different insured accounts at the same bank (retirement, joint, etc.). Coverage was raised in steps to $40,000 and, in 1980–in a move that the FDIC itself opposed–to $100,000. The increase to $250,000 was in response to the 2008 meltdown and arguably encouraged the same disregard of risk that caused the meltdown. In practice, when a small bank gets into trouble the FDIC arranges a takeover. If the bank is too big the fail or be taken over, the 2008 Lehman takeaway is that the Fed is likely to finance the bank's losses to preserve the financial system. Meanwhile, while the regulations installed by Carter Glass lasted more than half a century. Their erosion in steps through 1999 in the name of "modernization" paved the way for the 2008 crisis. TRUMP | Why Run as GOP? 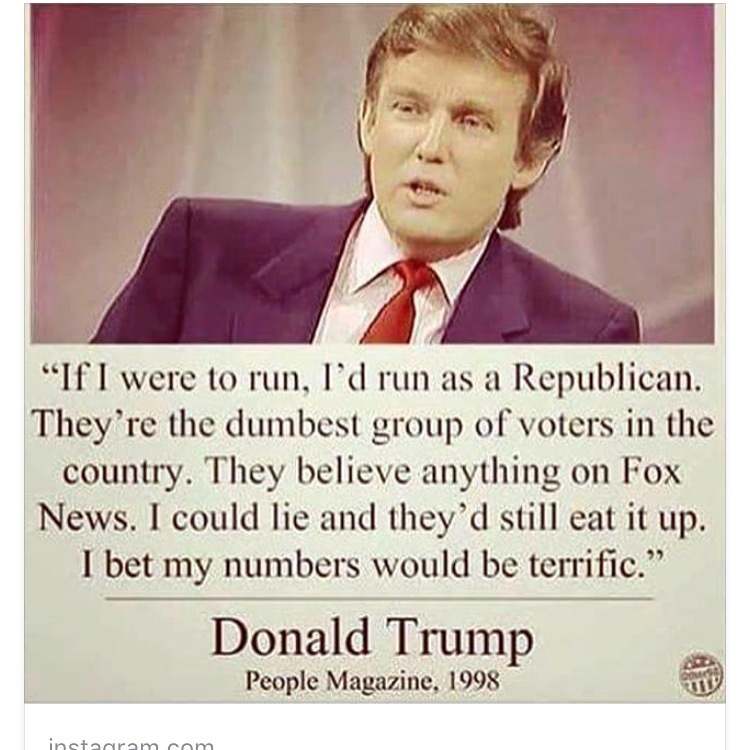 I received the following from a friend a few minutes ago and it seemed believable, although the reference to Fox News as a right-wing network in 1998 was fishy. I posted it before I checked it out because it seems to be circulating on Instagram and deserves comment and investigation regardless of its authenticity. I then proceeded immediately to investigate whether the quote is real (something I wish more people would do). My report is below and will be updated as needed. I must report that People Magazine files do not include such a quote. Below are excerpts from Snopes.com, which rates the quote FALSE and notes that while Fox was ramping up between 1996 and 2000, it wasn't widely watched until the 2000 election of George W. Bush. Please email me at teppermarlin@aol.com if you have any other information on this topic. I will post what I learn. Otherwise I am moving on. House Speaker Jim Wright led a delegation to Trump's office asking him to chair a major fund-raising event for the Democratic Party. Trump is a Republican but gave the invitation serious consideration before bowing to pressure from GOP friends and turning down his Democratic suitors. Beryl Anthony Jr., the Arkansas Congressman who came up with the approach to Trump, was disappointed. "There's no question he was getting a lot of pressure from the Republicans," Anthony told a reporter. "It would have given him the opportunity to see if his temperament is sufficient, if he could stand the scrutiny." "My information is that Donald Trump has raised in the ballpark of $1 million for the Bush campaign and the Republican Party," said Sen. Steven Geller, president of the National Council of Legislators from Gaming States. "I have heard from too many sources, including Republican lobbyists, that although Mr. Bush is denying it, the deal [to allow Indian casinos in Florida) has been cut," Geller said. I'm a registered Republican. I'm a pretty conservative guy. I'm somewhat liberal on social issues, especially health care, et cetera, but I'd be leaving another party, and I've been close to that party ... I think that nobody is really hitting it right. The Democrats are too far left. I mean, Bill Bradley, this is seriously left; he's trying to come a little more center, but he's seriously left. The Republicans are too far right. And I don't think anybody's hitting the chord, not the chord that I want hear, and not the chord that other people want to hear, and I've seen it. Mr. TRUMP: I'd like to see major tax cuts. PHILLIPS: Along the line, for what the Republicans are talking about eight hundred billion or so? Would you go that far? Mr. TRUMP: Along the lines of that number, yes, approximately at that number, and could even be more. PHILLIPS: Gun control? Where do you stand on that? Mr. TRUMP: If you could tell me that the bad guys, the criminals, wouldn't have guns, I'd be a hundred percent for gun control. But the fact is, if you have gun control, the only people that are going to obey the laws, are going to be the good guys. So the bad guys are going to have the guns, the good guys aren't going to have the guns, and what good does that do us? So, I'm not in favor of it. As a factual matter, based on educational attainment in the 2010 Census , nine of the ten least well educated states voted Republican in the 2012 election. The Council on Foreign Relations and former NYC Police Chief Ray Kelly have both recently warned about the dangers of cyberwarfare. One possibility is a cyberwarfare- generated broad electrical blackout. If all 12 U.S. regions were brought down, one estimate is that it could take 18 months to restore power. How can an individual prepare for such a calamity? As a general piece of advice, I recommend Stewart Brand's conclusion: "In our researches on the likely economic apocalypse it's become clear what is the prime survival tool for hard times: friends. Good friends. Lots of them." A friend who lives in New York City recently tried to think through what would be required to survive a total blackout of, say, three weeks. Here is her list so far of what she would have to do to be ready. I just found one prepared by National Geographic and another one on a blogsite devoted entirely to survival preparation. There is even one published by the City of New York Office of Emergency Preparedness. 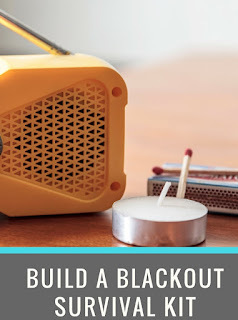 Things I believe I should do to prepare for a possible prolonged electric grid failure, as a New York City apartment dweller. Please comment below or send your suggestions to heidifi33[at]aol.com. In case someone else is with me in the apartment at the time, double all the supplies below. All this needs to be stored in my apartment. I may not be able to get to basement storage, or someone may steal it from me as I attempt to retrieve it. Think ahead about how to capture rain water. Have just one of my keys at the front desk. On that door, have an extra way to secure it from inside. Gun–fake gun to scare people off (dangerous?)? Buy a real gun and ammo and learn how to shoot? Be able to barricade, not just lock, both doors. If the building allows, install a peephole in my door that allows me to see the entire landing. Have enough food that won’t spoil on hand for 3 weeks or more. Ideally, food that doesn’t need to be reconstituted with water. Periodically check expire dates on this food, and replace it if necessary. Some way to cook that doesn’t depend on electricity or Con Ed gas. Parmalat or other milk that doesn’t need to be refrigerated. Have one month’s worth of all necessary meds on hand. Have vitamin C on hand, so as not to get scurvy if veggies run out. Put together a standard first aid kit, whatever that might contain. Have on hand a guide to simple first aid. Figure out how to contain my waste so that it is not contaminating. At least: buy lots of garbage bags. Disposable underwear so I don’t run out of underclothes that are at least marginally clean. Water will only be used for drinking. Is there any way to keep one’s computer running? Buy extra batteries, chargers? Batteries galore for every flashlight. Flashlights and candles and matches. Small denomination bills adding to a considerable sum for buying things if people come door to door with water, food, batteries, etc. Corollary: have a way to open one door just a crack and still have it securely inoperable. Diversify investments and where they are kept now. Beef up what I have in Treasuries, with the Treasury Department directly. Tarps to lay over bathtub water (protect from falling stuff; decrease evaporation]. Or keep dry cleaner bags. Check that locks work, can be opened. Save all empty bottles with screw tops (or maybe get some from basement recycle bins). Investigate what proteins to keep, etc. ; what is needed in a first aid kit. Keep up to date paper records of all asset ownership. 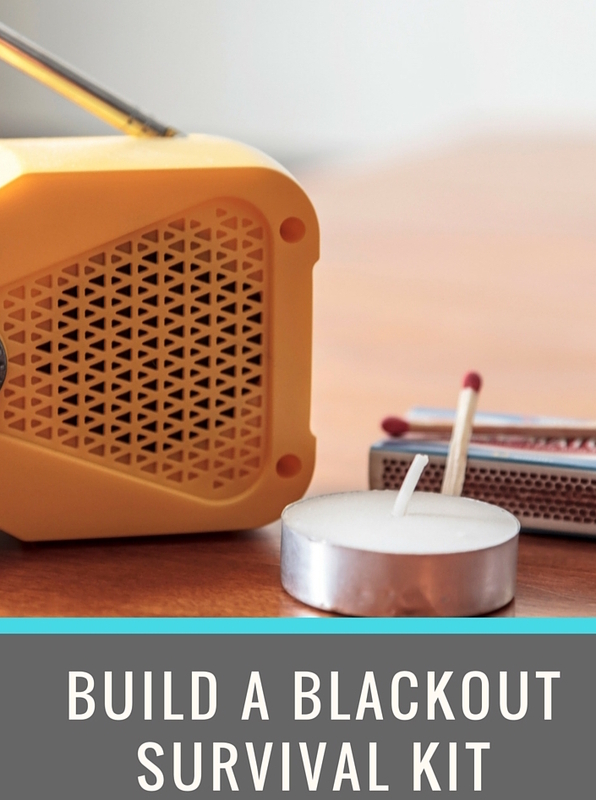 Better sources of light than flashlights and candles? Would the cloud be accessible? Don’t know and need to: ways to communicate if landlines, cell towers are out. Best I know of at this time: Eton Red Cross radio. But what is range? Who would be broadcasting? 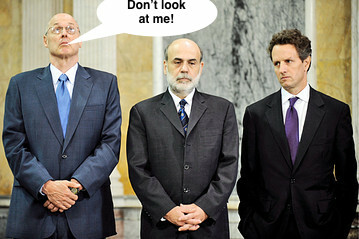 James B. Stewart in The NY Times today reports on a new study of the dark days of Lehman Brothers in September 2008. Could Lehman have been saved from bankruptcy? Should it have been? Would the world thereby have been saved from the Great Recession and its globally destabilizing consequences? The study's author is Laurence M. Ball, Chairman of the Economics Department at Johns Hopkins University. He presented his 214-page paper, "The Fed and Lehman Brothers", which took him four years to write, to a conference of economists in Cambridge, Mass. Lehman Brothers could have been saved. Bernanke told the Financial Crisis Inquiry Commission in 2010 that Lehman's collateral was weak and saving it would have required breaking the law. Ball argues that is not true, and that Lehman's financial condition was never properly analyzed. The whole point of the creation of the Federal Reserve in 1913 was to "lean against the wind" and when panic hits, its job is to save the system. The officials of the time underestimated the consequences of not saving the system and we live with these consequences today. Paulson called the shots. Bernanke at the Fed followed the lead of Treasury Secretary Paulson, who took charge of the situation and was the prime mover in promoting the decision to let Lehman fail, because he didn't want to be known as "Mr. Bailout". Paulson says that the decision was that of the Fed to make. Ball's paper was supported in its general conclusions by Prof. David Romer at Berkeley and another professor at M.I.T. Other academics interviewed by The NY Times withheld their judgment.